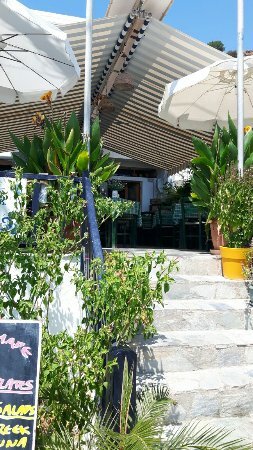 There aren't enough food, service, value or atmosphere ratings for Nostos, Greece yet. Be one of the first to write a review! We visited this lovely restaurant twice during our stay and ordered the shrimp curry and spinach on both occasions..extremely tasty, we were in need of some spice and this definitely did the trick!! Definitely worth a visit. This lovely restaurant has a big menu. The food ranges from individual dishes for a meze to tortellini. There's stuffed onions, dakos, fried cheese, calamari, deep fried mushrooms, meat balls, deep fried courgette. The list is endless. Well worth a visit. 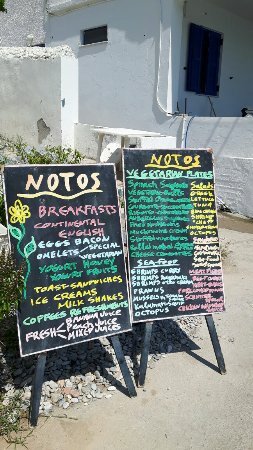 Get quick answers from Nostos staff and past visitors.